It’s no secret that computers slow down over time. No matter how well-maintained you keep your computer, it’s going to experience a loss in efficiency. In order to regain that initial speed performance, you need to do the same thing that you would do to your car: tune it up. Thankfully, there are tools for that. Introducing Iolo System Mechanic 11, a program that promises to fix pesky computer errors, restore system stability, and maximize your computer’s operating speeds. 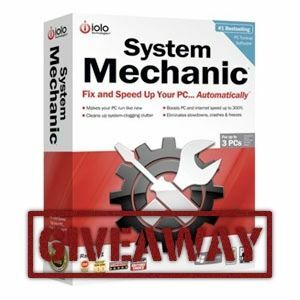 System Mechanic is available for $39.95 on Windows XP, Vista, 7, and 8, but we’ve got a great offer for you, MakeUseOf readers: we’re giving away 25 copies of System Mechanic 11 worth a total of $1,000 for free! Participating in this giveaway is, as always, easy. All you have to do is read through this review. The giveaway details will be at the bottom of this post. I remember years ago, I would manually traverse my Program Files directory and sift through all of the folders inside to determine which were empty, extraneous, or no longer needed. Then I’d delete them by hand, one by one. As you might imagine, that took a lot of time. Back then, the closest thing to a system tune-up was running a registry cleaner Using Registry Cleaner: Does Is It Really Make a Difference? Using Registry Cleaner: Does Is It Really Make a Difference? Advertisements for registry cleaners are all over the Web. 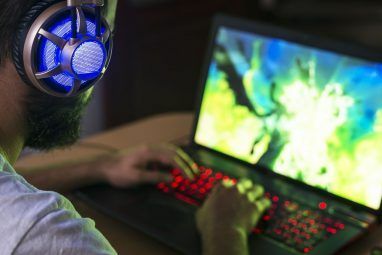 There’s an entire industry out there bent on convincing inexperienced computer users that their registry needs fixing, and that, for ten easy payments of $29.95, their... Read More . Now we have programs that boost the entire system. After the initial analysis, you’ll be good to go. The dashboard is nice because it gives you one-click access to a number of functions. If you want to run a quick scan-and-repair, the button is right there. If you’d rather view a list of all the problems and fix them individually, you can do that, too. In addition, the dashboard provides little hints to help you boost your performance. Actions like installing new drivers and running CRUDD Remover aren’t essential, but System Mechanic will recommend them when it thinks you’d benefit from them. When I first ran System Mechanic, this is what I got: a whole bunch of problems. Apparently, my computer wasn’t in as tip-top shape as I thought it was. Thankfully, System Mechanic caught these problems and brought them to my attention. System Mechanic will detect issues ranging from security vulnerabilities, to registry inconsistencies, to unnecessary system clutter, to excess startup programs, and more. The critical problems will be colored in red while the non-essential problems will be colored in black. You can then pick and choose which problems you want to fix and System Mechanic will do the rest. System Mechanic has a section titled Automated Tasks, which automatically analyzes, optimizes, and repairs issues found with your computer. These automated tasks are only run when your computer is idle, so you can rest assured that these tasks will never interfere with your work. Personally, I’m not a big fan of automated services like these, but I know that they can come in handy for many users. If you want a program that keeps your computer as well-oiled as possible behind the scenes, then System Mechanic’s automated tasks will be perfect for you. PC Repair: Repairs frustrating and mysterious errors, crashes, and other system failures. PC Cleanup: Sweeps away system clutter and frees up hard drive space. PC Security: Repairs dangerous security flaws and performs a number of security improvements. Total Registry Revitalizer: Keeps the registry clean, organized, and free of errors. System Mechanic also has a section of tools called Individual Tools. There are a lot of these and they are sorted into eight different categories. Basically, if there are certain aspects of cleanup and optimization that you’d like to run — without running the entire gamut — then these individual tools are for you. You should note, however, that individual tools are closer to manual work. System Mechanic still does everything for you, but it’ll be more work than simply using a Power Tool or an Automated Task. Of course, System Mechanic provides a one-click button beside each report section so you can quickly fix and optimize underperforming aspects of your computer. All in all, a fantastic program that really works hard to make your computer the best it can be — all without making you do any of the work. Again, we’re giving away 25 free copies to all of our loyal and beloved MakeUseOf fans and readers. As a reminder, Iolo System Mechanic 11 is available for $39.95 from their online store, and only runs on Windows XP, Vista, 7, and 8. How do I win a copy of System Mechanic 11? Congratulations! If you were selected as a winner, you would have received your license via email from jackson@makeuseof.com. If you require any assistance, please get in touch with jackson@makeuseof.com before Oct 20. Enquires beyond this date will not be entertained. This giveaway begins now and ends Friday, October 5th. The winners will be selected at random and informed via email. I inadvertantly clicked on the option to make certain programs (.exe, .scr, etc) open in notepad. Now some of the programs do not run as indended. I called teck support to help fix this problem and they tell me that the problem is with my computer and that I need to spend $200 for the IOLO repair service. What a SCAM!! - Sell a program that screws up computers and then charge them $200 to fix. Woohoo!! I win. It's the first time in my life i won something. Thank you MakeUseOf.com, cograts to the other winners and good luck to those who didn't win today. Please! I want this version, thanks a lot! This is not sending me the email it said it would. Perhaps it is having server issues. Looking good. Do it. Love System Mechanic. have free so pro be very nice thanks. System Mechanic does everything it says it does - but it slows your system down too much. I know, I tried it for a year and threw it out. giveaway code on twitter is incorrect.. I'd love a license - entered as required! the link saying "claim one entry into this competition for 2 points" is still not shown i think their is a problem as this link shown for the other giveaways. Dunno how you guys give away cool software on a weekly basis at all! Like the new rewards section! system mechanic 11 is real mecanic. That was a nice addition with v11. I have it on all three of my PC's at home. I've been using it for years and it keeps getting better. Having it constantly run the defrag and such in the background is very helpful and has had no negative impact on my system. This one of the best utility tool among Advance system care and Auslogic Boot speed. These three are best in my opinion. But all have some advantage over other interms of some feature they have. Disk defragment feature of system mechanic is quite good in comparison to others one. you will see instant speed boost up after defragment and program realignment. Infact system mechanic is like a medicine which give you immediate result, you will definitely feel it after performing various t weeks. lets talk about Advance system care pro, it does the same job as system mechanic, but i like extra 20 tools which repair the common PC problem. It is quit handy. very useful. And finally Auslogic Boost speed, What i like about this utility is its fast, blazing speed. It really does the job very fast. But In-terms of various option it lack some features with other two. So in my opinion Systemechanic has little advantage over other two.so finally i would say It is best among three. One more thing i would like to add you will not find Crak or kigen for system mechanic. So very little chance of getting pirated one. So If you don't have this software Go for this giveaway. it is good chance to win a must have software. Although I am not going to participate, b'coz i already have this Gem..Anyway Thanks For Giveaway. any chance this will get on the rewards page? Hey John. Unfortunately, the Reviews section has different management than the Giveaways section, so I can't give you an answer on that. Would've liked to see this on the rewards section though..
Good job on the new rewards section! This looks quite good wouldn't mind giving it a go so count me in please and thanks. I know there is little chance to win, but one can dream. Giveaway codes page is still blank on facebook!. Giveaway codes page is still blankon facebook!. Did you try clearing your browser cache and refreshing? 99% of the time that's the issue. I can see the codes just fine. Is it better then iobit's adv system care pro? I much prefer System Mechanic's interface as it feels cleaner and better organized. In terms of features, I think they both handle cleanup and maintenance at around the same efficacy, though I feel like System Mechanic can better detect security flaws in your system. I'm using both right now and, personally, I'm leaning towards System Mechanic. This nuts!,can not get giveaway codes page is blank. This nuts!,not can get giveaway codes page is blank. Would love to win a license for this software! Cant find the giveaway code anywhere.. Guess I have to wait a few minutes.. I can see it on the Facebook giveaway code page. Did you try clearing your browser cache and refreshing? Yeah am able to see it now! Thanks.